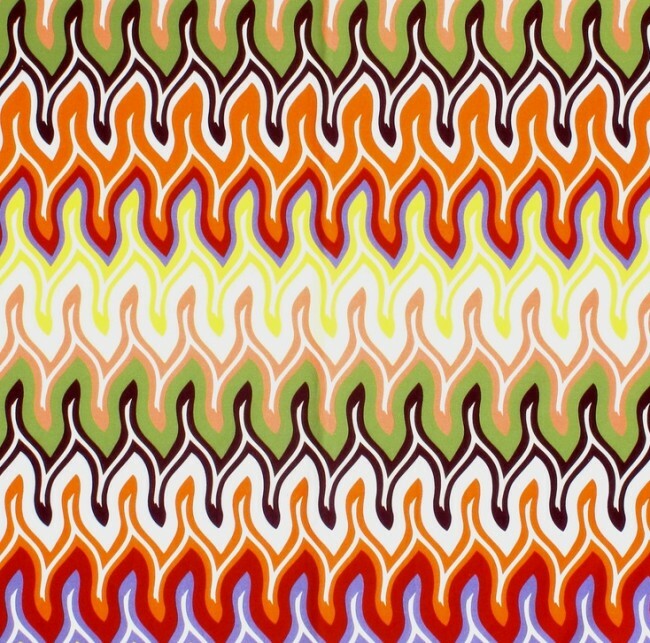 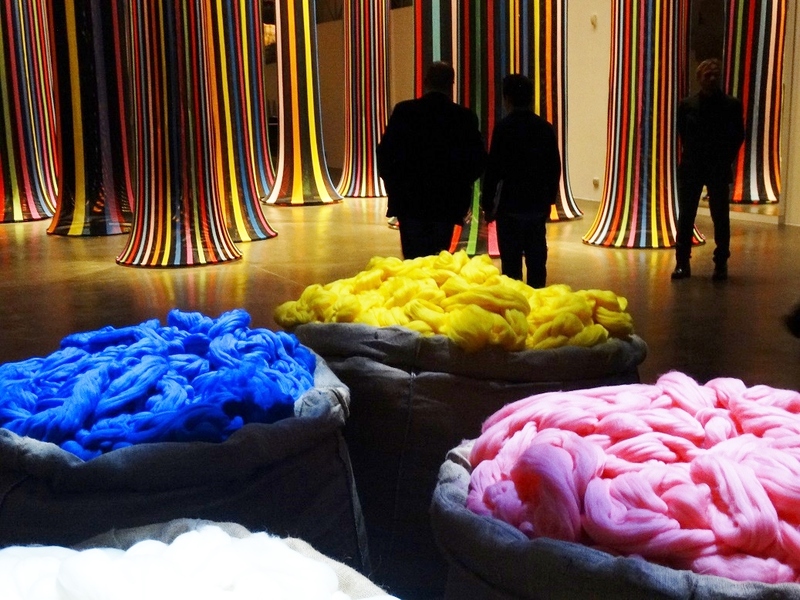 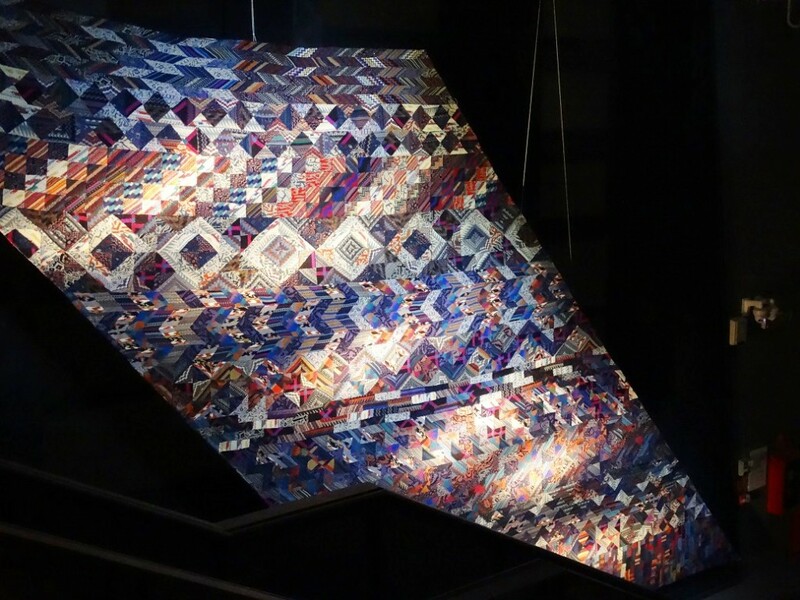 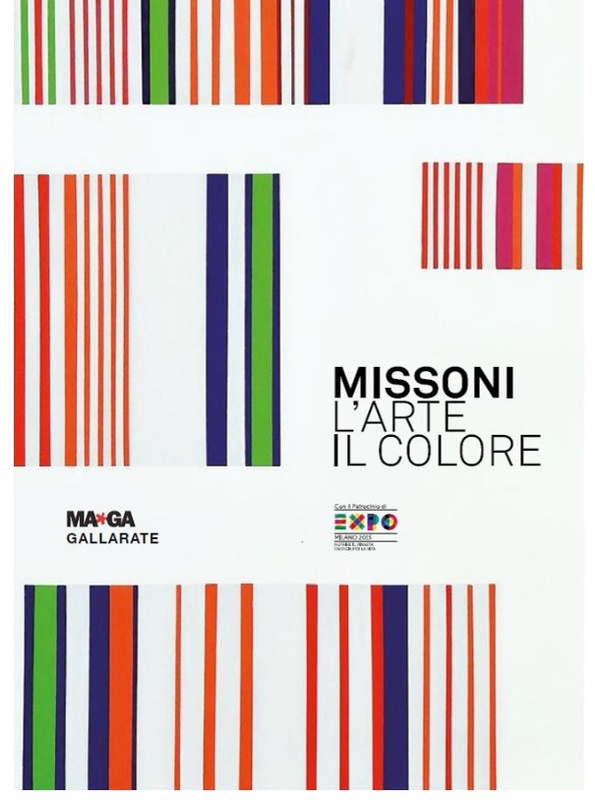 At the Museum Ma*ga of Gallarate, the city that gave birth to the first workshop of Ottavio and Rosita Missoni, there is a beautiful exhibition: Missoni, the art, the color. 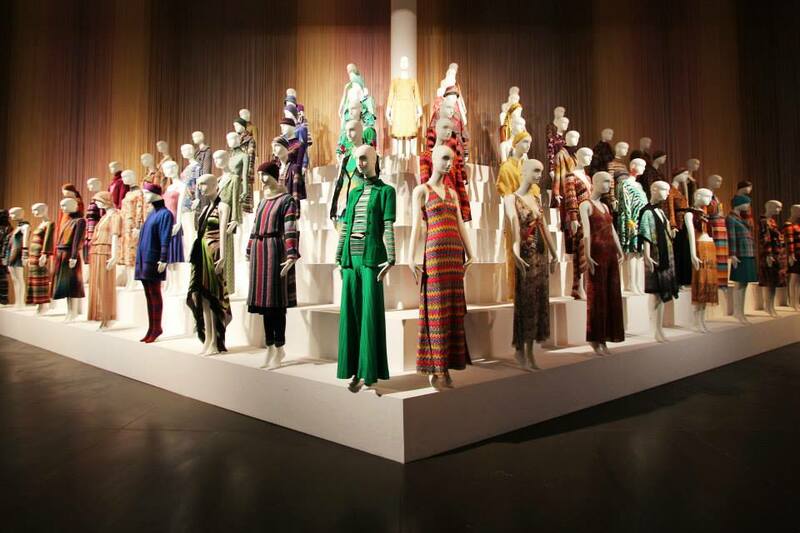 A tribute to the creativity of the fashion house Missoni and a trip of over one hundred works by important artists from the twentieth century to the present day. 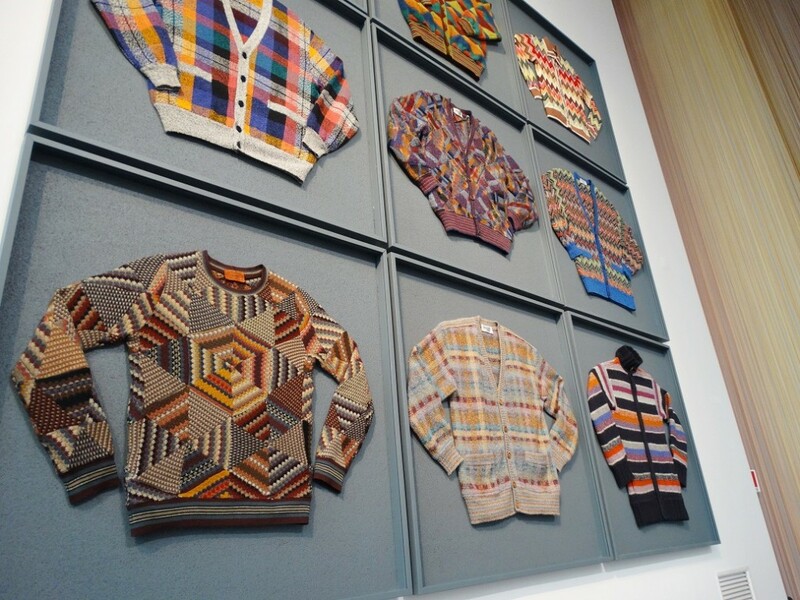 The exhibition shows how art and fashion have always been much closer than it might seem. 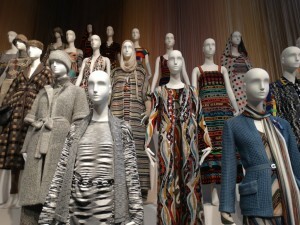 That fashion is an art like painting or sculpture, evidence of this are the tapestries on display with the designs of Missoni, true masterpieces. 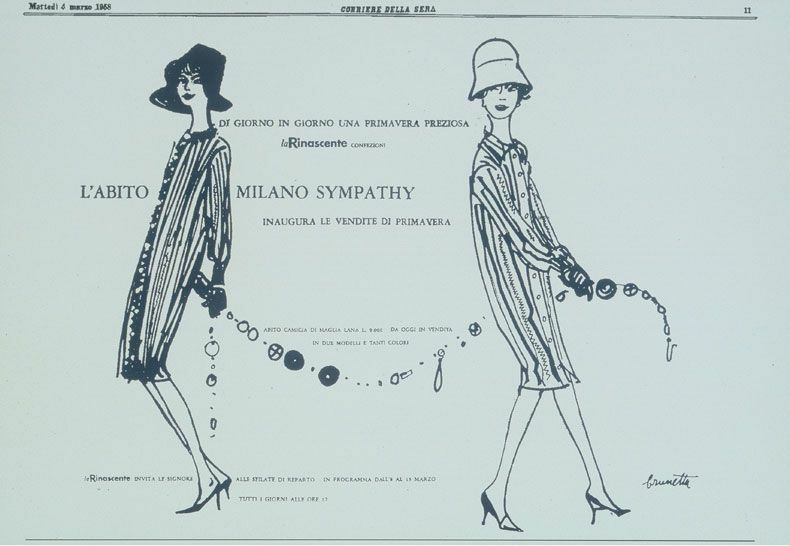 That artists like Kandinsky and Sonia Delaunay, but also Severini, Depero, Soldati were inspired to continue this great company of Made in Italy. 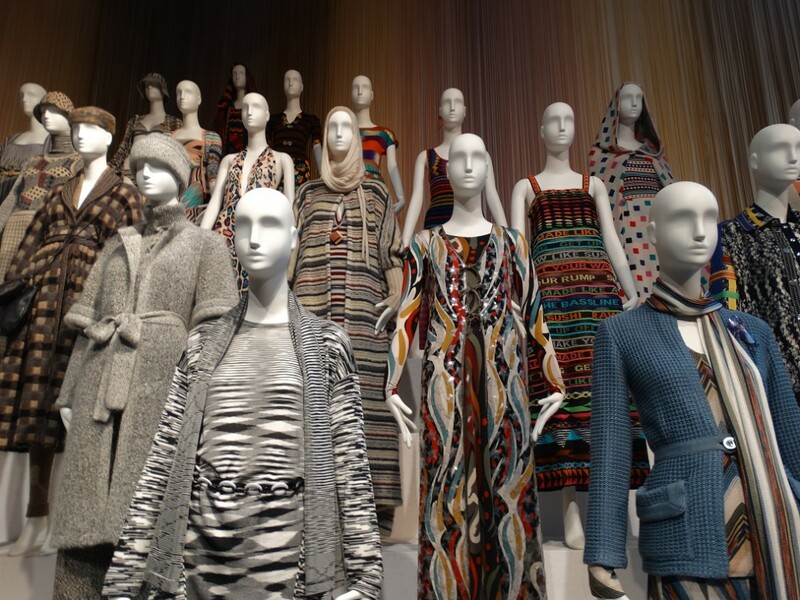 Rosita and Ottavio Missoni were together sixty years, a great love story that has created a great brand, whose creations have become unmistakable (you can’t not recognize a jacquard pattern of Missoni, here as everywhere) . 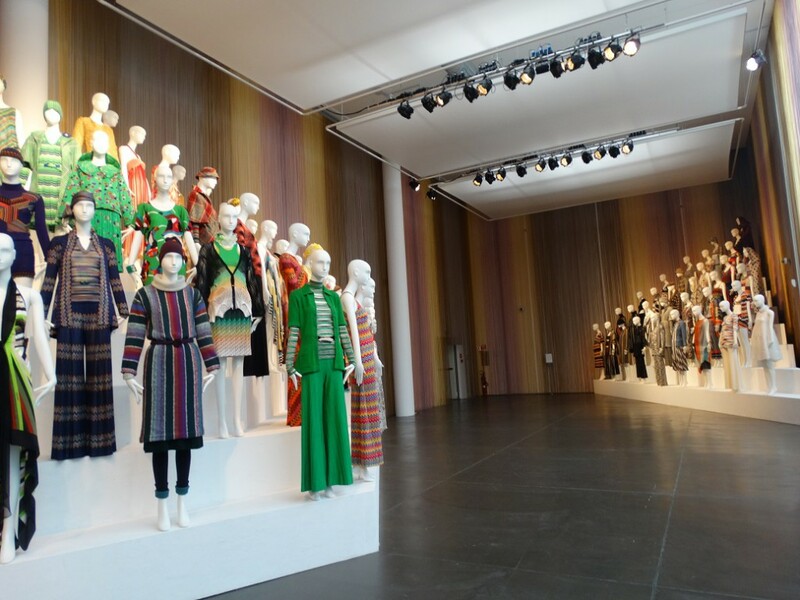 Already forty years ago Ottavio Missoni had performed studies of color on paper and on fabric, convincing and pushing the gallery Renato Cardazzo to pick them up and present them in an exhibition in Venice. 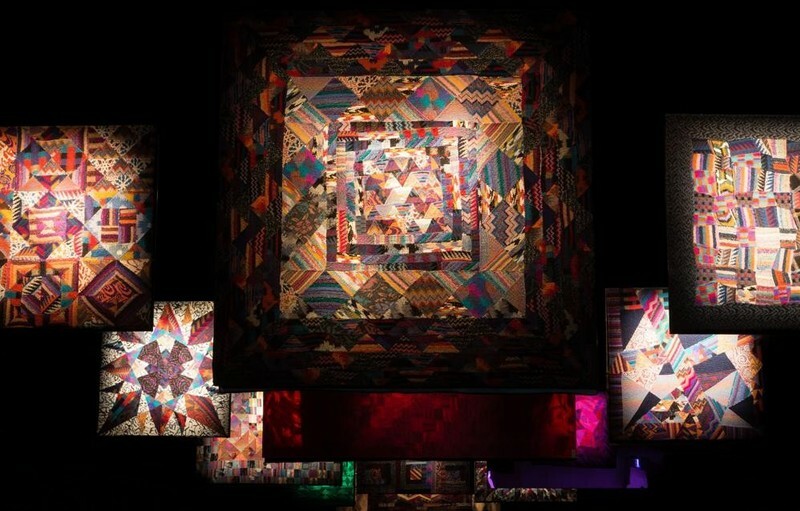 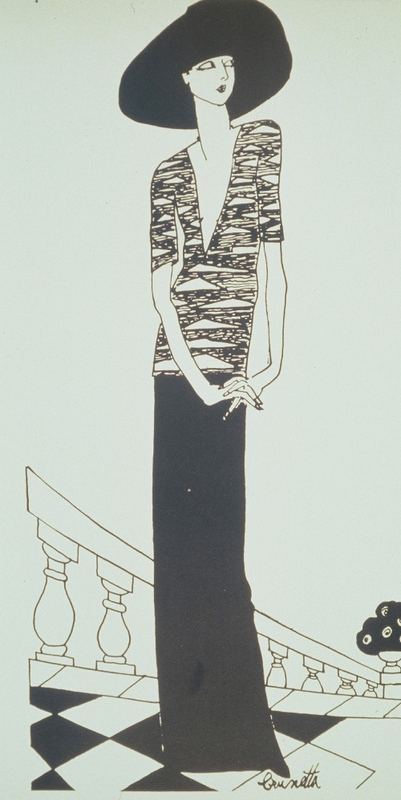 Subsequently dressed columns with drawings patchwork, as if they were tapestries, these ended up in major museums such as the Art Museum of the University of Berkeley. 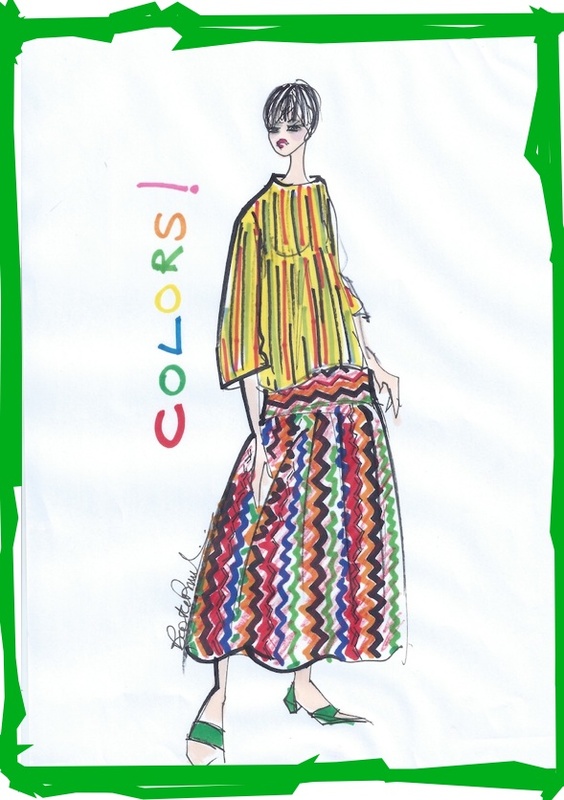 Rosita also loves art, especially that of Sonia Delaunay that “touches” in Paris many years ago and she feels closer in her pictorial experiments on color. 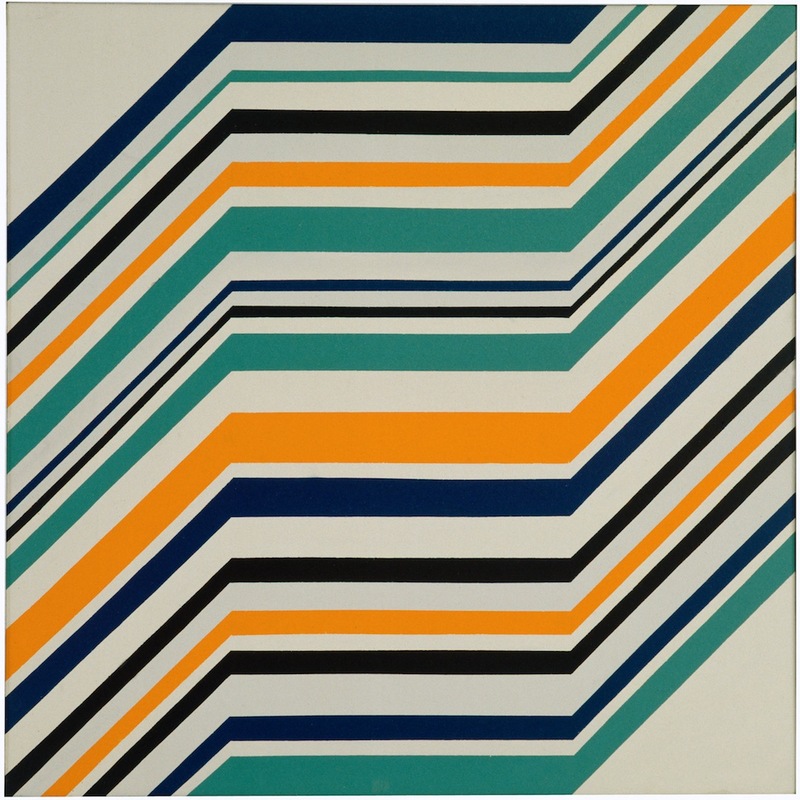 We can say that art was the leitmotif of their lives and their work, as well as collectors. 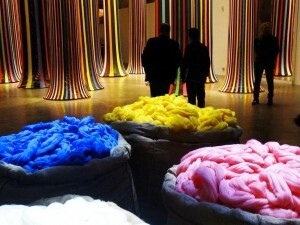 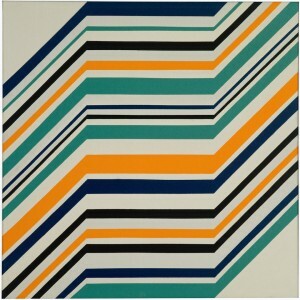 Find a more appropriate title for this exhibition (“Missoni, art, color”) it would not be possible. 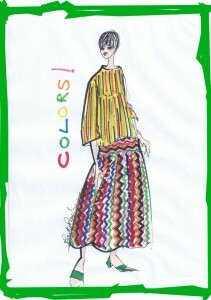 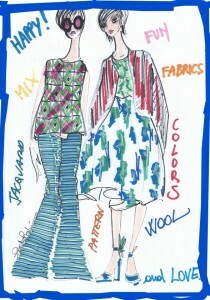 Their debut came with the Rinascente for which drawing a knit dress, in the 1958, was a success because sold 500 pieces! 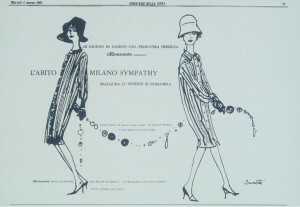 This dress was called “Milan Sympathy”, the advertising images was performed by historical illustrator Brunetta. 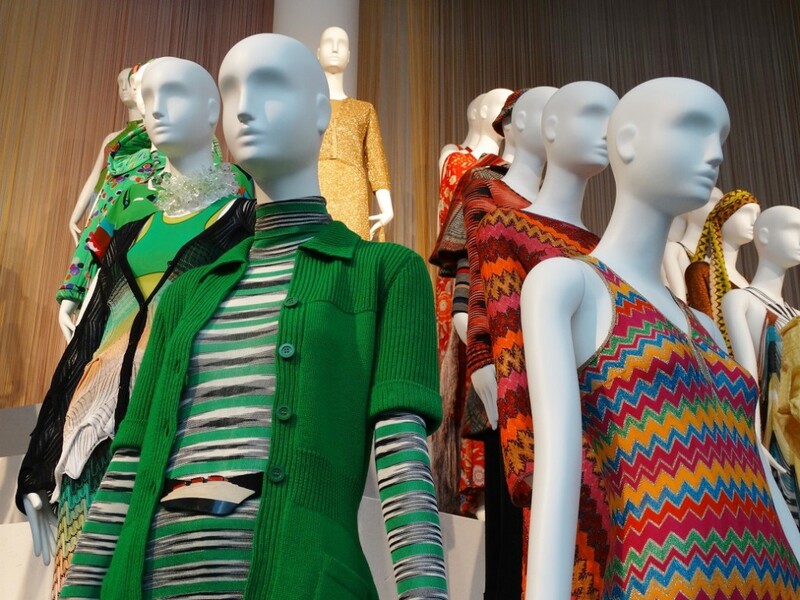 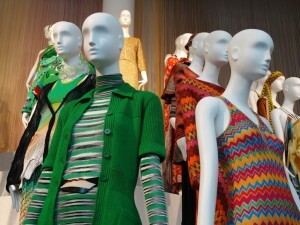 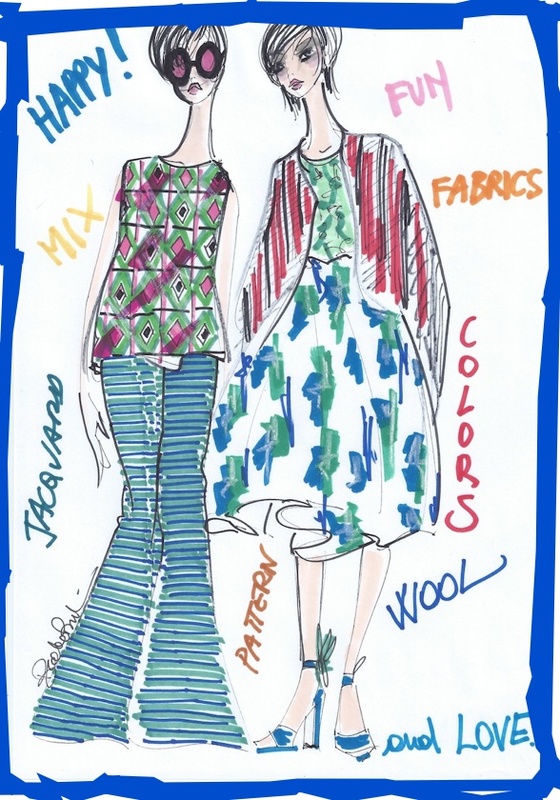 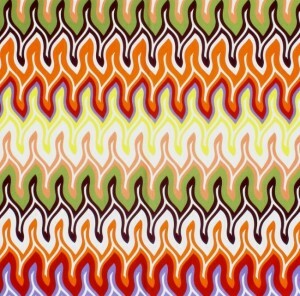 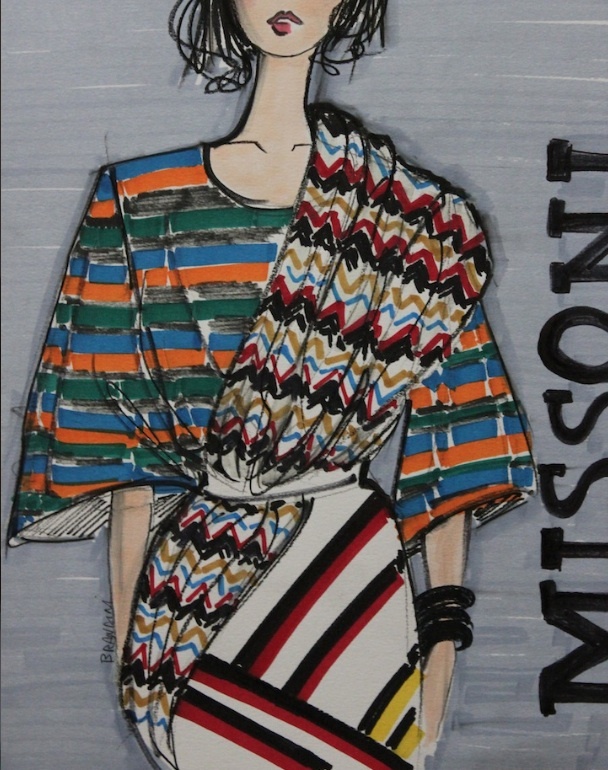 It was even coined an adjective “Missonismo” to define a special style capable of mixing fabrics, designs, prints and especially colors… Missoni has made the history of Italian products, even today, creating sweaters and fashion popular (and copied ), all over the world. Beautiful family … beautiful story!